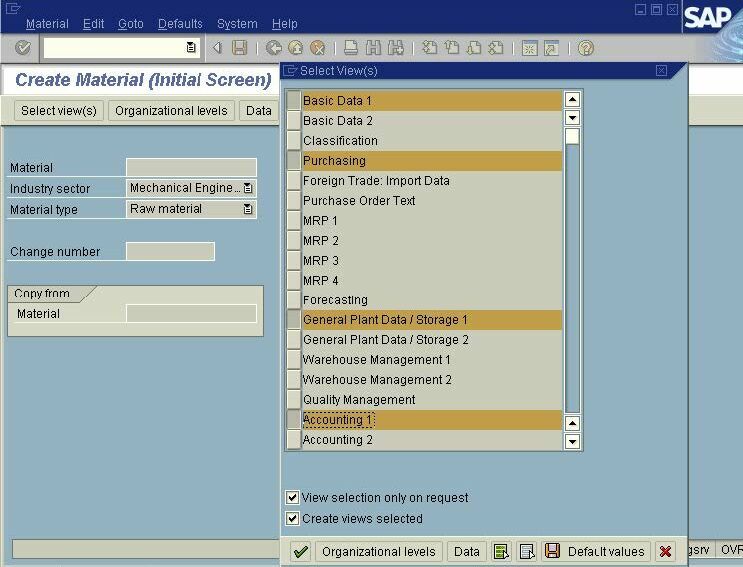 Now we are going to learn about “How to create a material master record” in a step by step procedure. The transaction code used for this is MM01. We need to select the proper departments ( for entering more material properties ) and press enter. Now Organization level window will appear, where we need to specify the plant code, storage location etc. 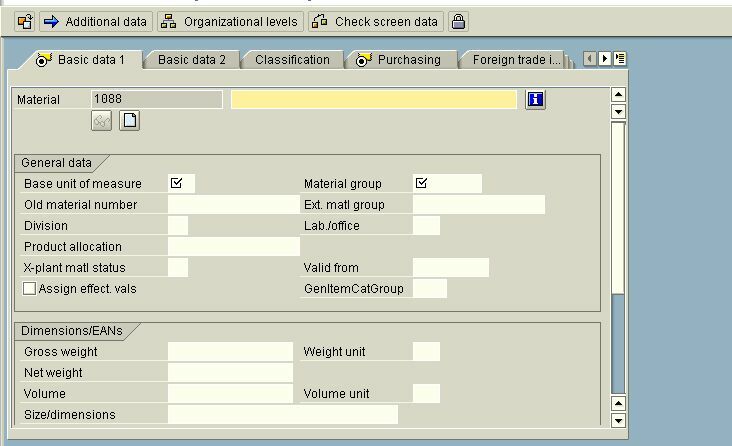 After that screen for entering additional data ( as per the selected views ) will appear and we need to fill the things as per requirement ( Like gross weight, weight unit , price per unit etc ). Done. You have created a materiel master record successfully now. 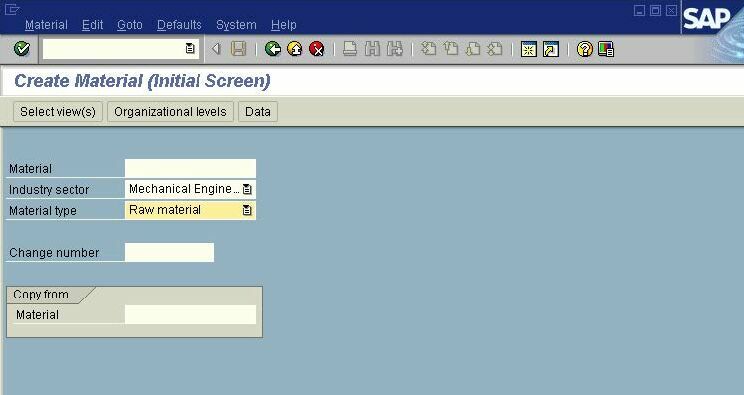 You can extend the material properties and all from this screen itself later. The important transaction codes you need to remember are MM01 for creating, MM02 for changing and MM03 for displaying material.